I was always happy in my childhood when my mum said, “We are having curry-rice for this evening”. Curry is our soul food. Curry is our culture! Our ramen noodle culture has diversified with various different new menus. Now Curry, like Ramen noodles, seems also increasing its diversity. 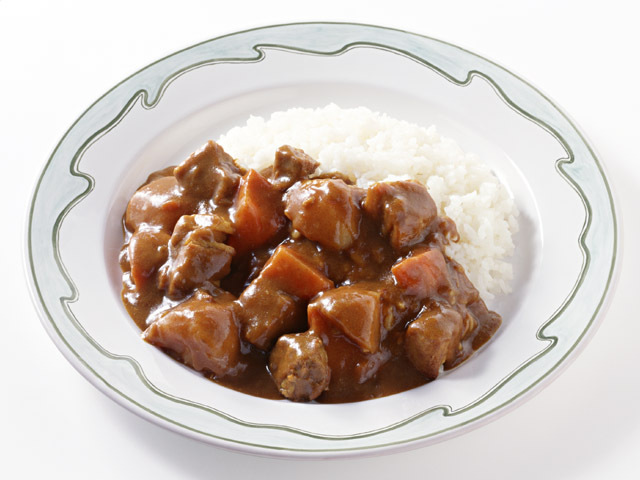 The curry trend for this summer, according to Mr. T. Inoue of Curry Soken (General Research Centre), is described in 3 key words, “New Mild (mild taste for adults which is a cashew nut and vegetable base. It is different from one with fruit and honey for the kids)”, “New European (a gourmet curry which is a type served in first class hotels. Cooked thoroughly, bouillon based and can go well together with wine for dinner. It is becoming popular among those who do not mind paying more to enjoy its premium value)”. And the last type is “New Wave (This type is served in Café’s.)”. Based on these trends, Mr. Inoue sees the smash hit for this summer is “cutlet curry rice”. The best match for cutlet is mild curry and many popular cafés are now serving chicken cutlet curry or curry with fried shrimps for lunch time which are well received by women. Cutlet curry menus are evolving further, such as in Indian soup curry, or in keema curry. Some menus are born even as a means to promote economic development of the area. Local products such as Yezo deer or dried baby sardines are used for curry. 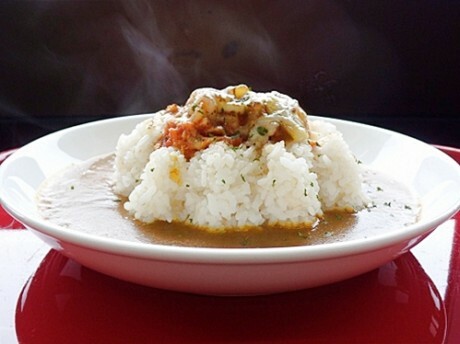 A bikers’ café’ in Hakone, DAMMTRAX CAFÉ, has also started serving a curry dish to celebrate UNESCO registration of Mt. Fuji. It is a chicken and spicy tomato base. The rice forms Mt. Fuji and the curry is magma. Melted cheese is used on top to resemble snow. Kumano chicken cutlet with Matsusaka beef sauce. 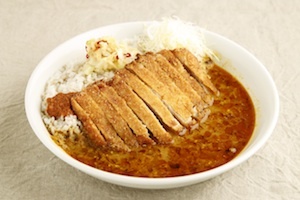 PANNYA CAFE CURRY (Shimokitazawa): “Special curry” (1,575yen=US$16). The owner is an entertainer, Mr. Takashi Matsuo. Popular among women. Cutlet with spicy beef curry.